This morning I toured Google’s new Body Browser. The trip wasn’t as easy as I’d envisioned; I got sidetracked on my way, having to update my Web browser before entering. The site requires an advanced Web browser, like Chrome beta or Firefox 4.0, to accommodate 3-D graphics. The muscles appear well-defined, though I’m no orthopedist. The platform reveals the piriformis, an obscure muscle beneath the glutes for which a physical therapist once gave me strengthening exercises. 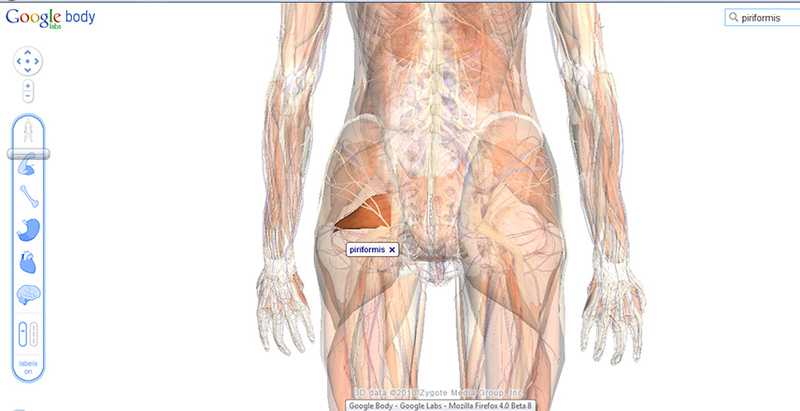 I could see the psoas major, which I’d learned years ago to check for tenderness by examining the abdomen while moving a patient’s hip in a specific manner. This version of Google’s Body Browser remains in lab mode, for good reason. 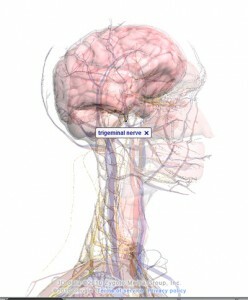 Still, it’s pretty amazing – you can twist and turn the human’s body, peel away layers and isolate nerves of interest. Knowing some anatomy and terms, I honed right in on the woman’s trigeminal nerve, choosing an oblique and semi-transparent view of her neck and head. I think the potential for this Web-tool is huge. Doctors could learn with it. And although some of my colleagues might mind my saying so, this sort of platform might eliminate or at least reduce the need for so many cadavers for medical school education. 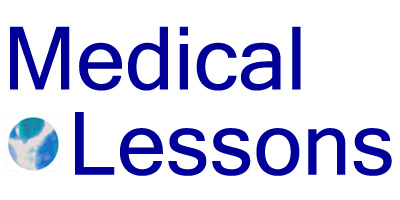 As for providing patients with understandable information, this has tremendous value. Imagine sitting in a physician’s office with a computer screen as she points to a joint that needs repair, in real-time and 3-D, or explains the risks of prostate surgery, due to the nerves and other structures that run through or nearby that particular gland. Google’s developers have a lot of work ahead on this project. Like Google Maps, this should allow people to see things that will help them make sound decisions. We’re not quite there yet, but close. 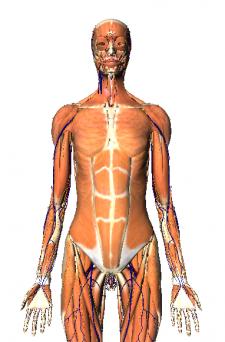 For now it’s fun to look click through Google’s anatomy. It’ll be interesting to see how this terrific application progresses.